Ok now a lot of my friends are doing this article on their blogs so I thought why shouldnâ€™t I do it too? As you may already know, Microsoft would be shipping Windows 7 in Europe without a browser, thanks to the demands of European Union. This isnâ€™t something very new as N versions of Windows XP and Windows Vista were also stripped of programs like Windows Media Player. So how would you connect to the internet without a browser? Well there are tons of different methods ranging from downloading it to having the installer ready on a USB drive. You can even order a CD too if you like. But lets not forget what the simplest option would be. You can just enable Internet Explorer from within Windows and use it to download any browser you like. Lets keep in mind that Microsoft has just disabled Internet Explorer in the E and N versions of Windows 7 not uninstalled it. It canâ€™t do that as parts of the browser are required by the Windows core functions like Windows Update etc. So the fastest way to get the browser back would be the following. 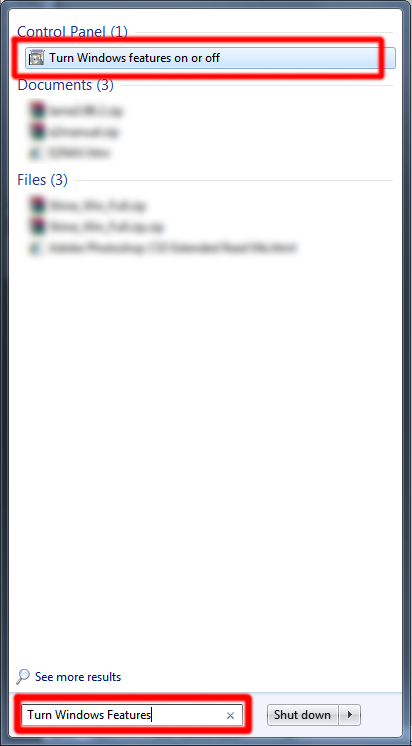 Click the start button and type â€œTurn Windows Featuresâ€ in search. Select Turn Windows Features On or Off in the results. You need to run it as Administrator. 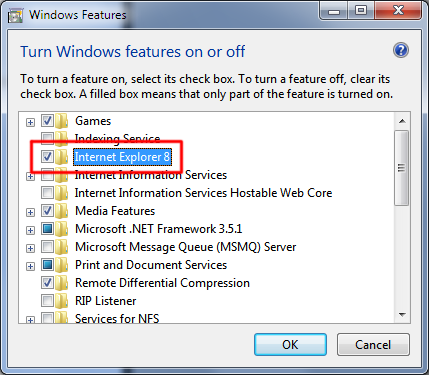 In the dialog that popped up, click the checkbox next to Internet Explorer 8 to enable it. Hope this article was helpful. If you have any questions, feel free to post them below. Did u try this in Windows 7 E? Do you have Windows 7 E? Like I said in the article. The browser is just disabled, not removed. You can easily re-enable it. Lol. You don’t even know if it works on windows 7 E. From what I’ve read and know, it doesn’t ship with the browser disabled but only with the trident engine needed for some apps in windows. If only it was that simple as adding removing it from the control panel there wouldn’t be so many tricks and hacks written on it. Ran 24 queries in 0.161 seconds.